Emerging research methods and technologies that empower and benefit women are helping to close the gender gap in fisheries and aquaculture. But more needs to be done to ensure women are heard, counted and empowered in policy and decision-making arenas. These were the key themes that emerged from ‘Expanding the Horizons’, the FISH-sponsored 7th Gender in Aquaculture and Fisheries conference (GAF7) in Bangkok on 18-21 October 2018. The conference brought together around 150 experts, researchers and practitioners to discuss strategies to enhance gender inclusiveness and equality. “The seafood industry doesn’t work if there are no women, just like it doesn’t work if there’s no fish. 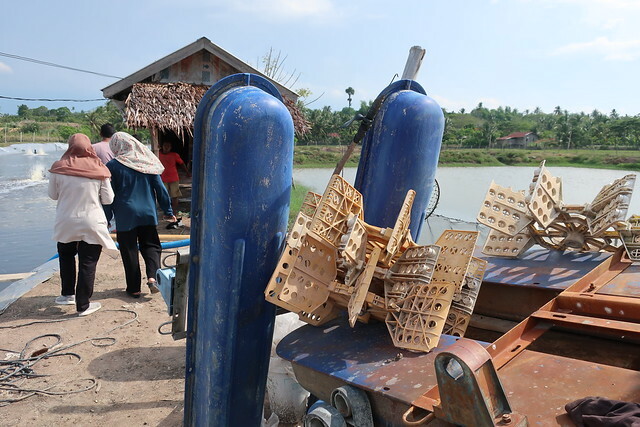 The world needs seafood to feed, and the industry needs women to make it happen,” said Dr. Darian McBain, Global Director for Sustainable Development, Thai Union, in her keynote address. This set a vibrant yet serious mood for the conference organized by the Gender in Aquaculture and Fisheries Section of the Asian Fisheries Society, the Asian Institute of Technology and the Network of Aquaculture Centres in Asia-Pacific. 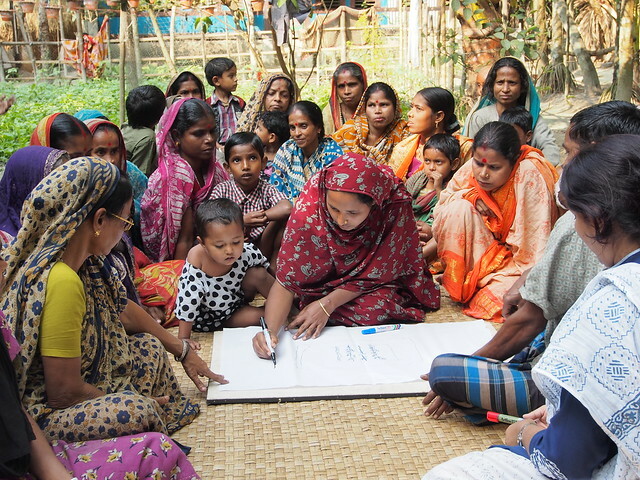 New research methods are emerging that empower women in the process, not just the outcome, and give them greater voice. One such method is the gender-transformative approach (GTA), on which Cynthia McDougall, Afrina Choudhury and Steven Cole from WorldFish ran a special workshop. Another novel research approach that is increasingly being used in fisheries is photovoice, which was the focus of a special workshop by Janine Pierce, an adjunct research fellow at the University of South Australia and a board member of Aquaculture without Frontiers (Australia). The method involves giving participants cameras to take photos on loosely worded themes and to write or describe accompanying comments in a diary. To provide some hands-on experience, a handful of delegates, including Chelcia Gomese, Senior Research Analyst from WorldFish Solomon Islands, participated in a photovoice project at the conference. Another research approach that holds value—and needs deepening—is the feminist perspective, which was the focus of a workshop by Nalini Nayak and Cornelie Quist, founding members of the International Collective in Support of Fishworkers. Many presentations highlighted how the introduction of new gender-sensitive technologies are enabling women to participate more fully in and receive benefit from fisheries and aquaculture. One example, presented by Cecile Brugere, Director of Soulfish Research and Consultancy, was on tubular nets for seaweed production in Zanzibar, which are showing promise for women’s empowerment, livelihoods and the environment. “Collective action is critical to driving policy that works for women. This is a herculean effort because it’s often very difficult to bring those voices to the tables,” she said. But some examples presented at GAF7 offer hope. 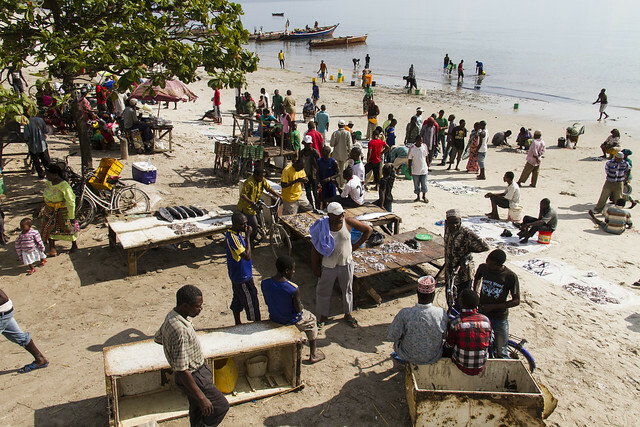 One, on the successes of the African Women Fish Processors and Traders Network (AWFishNet), presented by Editrudith Lukanga, the Secretary General as well as a member of the FISH Independent Steering Committee, consists of women from 28 African Union countries. “Since forming in Tanzania in April 2017, we’ve been able to attract funding, which is a huge success for us because resources are normally scarce and it enables us to come together. Through the network we’re raising our voices, in a unified way, for the inclusion of women in all decision-making and policy processes, from planning to implementation to monitoring,” Lukanga said. On this topic, delegates benefited from the insights of Margaret Harding, a fish processor and vendor, and one of the 25 members of the Central Fish Processors Association in Barbados—the only postharvest fisherfolk organization in the country. “Having the organization enables us to work freely. It enables us to do the things that we want like the upkeep of the market, abiding with regulations and complying with governance,” she said of the organization that was formed in 2005. At the conference, Dr. Meryl Williams, Chair of the GAFS and former WorldFish Director General, launched the new From catch to consumer: Why gender matters in aquaculture in fisheries article. The article highlights the key actions that are needed to make real progress toward gender equality—all of which were raised and discussed at the conference. Gender equality cannot be achieved by gender researchers and practitioners alone—a critical message summed up by co-organizer Kyoko Kusakabe, Professor, Asian Institute of Technology. “It is only by working in a collaborative way—through transdisciplinary approaches and integrative policies with grassroots organizations and policy makers—that we can make real progress toward sustainable and socially just small-scale fisheries and aquaculture,” Dr. Kusakabe said.